How Does My Aid Get Disbursed? Your federal aid is disbursed (paid onto your account) in two equal installments during the fall and spring. Each term, your aid is disbursed onto your student billing account about a week prior to the start of that term. You have no outstanding holds or requirements. You can always check requirements in MyTSU under Eligibility. You have been awarded and accepted your financial aid. All required promissory notes for your loans have been signed and loan counseling is complete. Your expected enrollment matches your actual enrollment. Aid is always packaged for full-time enrollment. Your budget and aid may need to be adjusted if you are less than full-time. The credits you are registered for count towards your aid eligibility. Courses may be excluded due to taking a graduate level course as an undergraduate student. How Does Adding and Dropping Courses Impact My Aid? The timing of your enrollment changes can have a significant impact on your aid. We freeze your aid eligibility on our Census Date each term. Be sure to familiarize yourself with our policies regarding Census, Dropping Courses, Withdrawals, and Satisfactory Academic Policy. How Does Financial Aid Work With Billing? Financial aid disbursed to your student account pays your tuition and other university fees first. If the amount of your aid is greater than the eligible charges on your student account, the difference will be refunded to you by the Student Accounting Office. The Student Accounting Office is responsible for processing refunds from a student's account once financial aid has been applied. 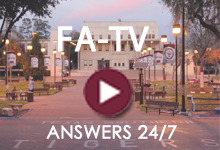 If you have questions about your bill or your refund, please contact the Student Accounting Office. Students who receive money from Federal Work-Study programs are paid wages for the hours worked during the pay period. These funds do not go toward paying student tuition and charges. Federal Work-Study funds are paid out through a regular paycheck which comes from the Payroll Department. 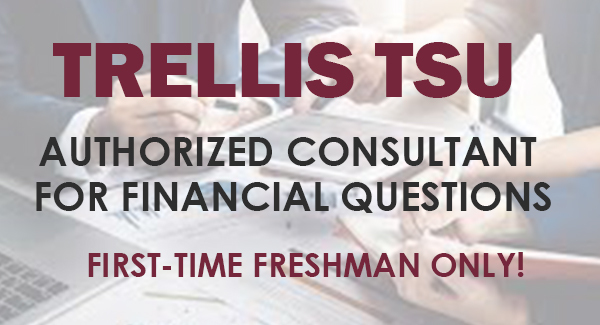 You are responsible for managing your Financial Aid experience, so be sure to check MyTSU Portal frequently and review any emails you receive from us as they may include requests for additional information or action. Call, email, or stop by if you have any questions, we are here to help you!